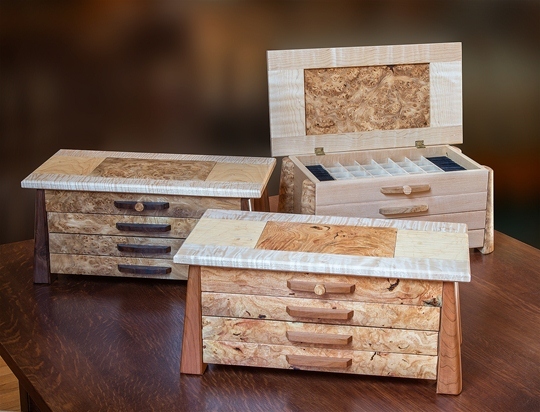 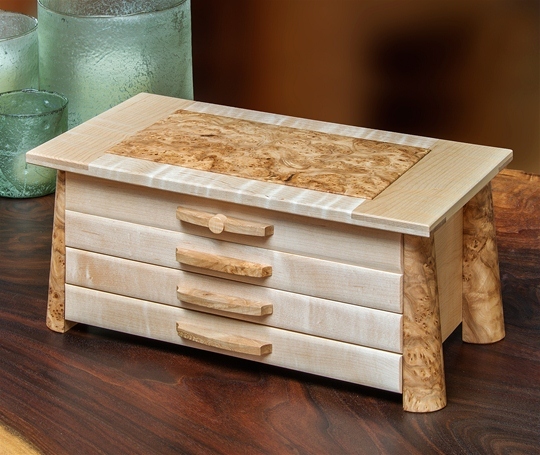 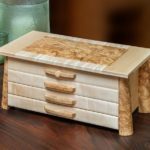 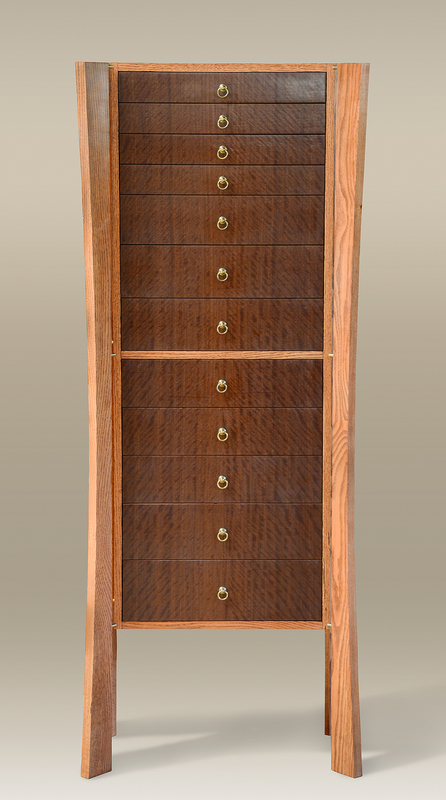 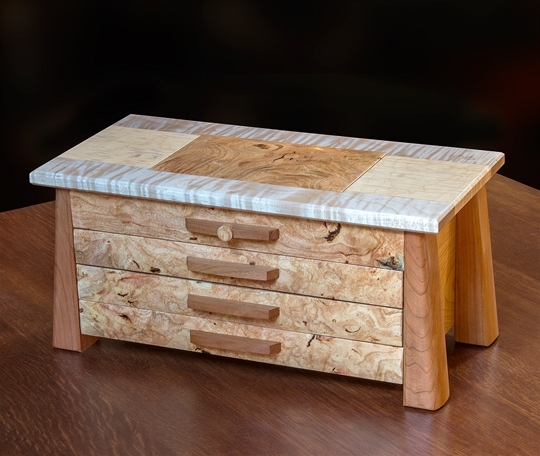 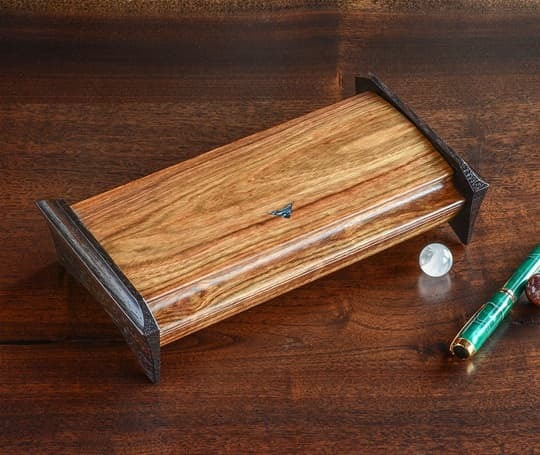 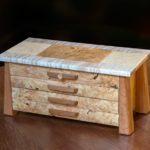 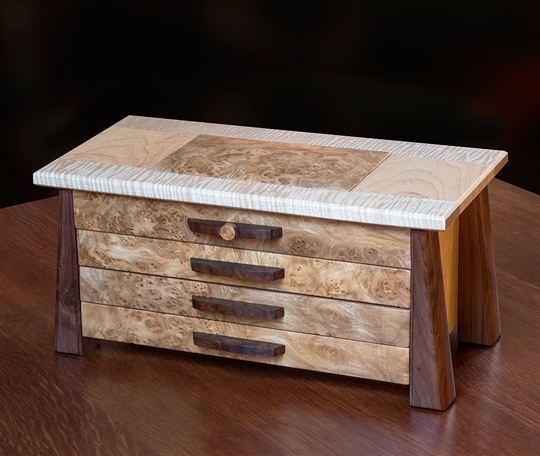 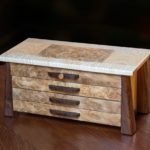 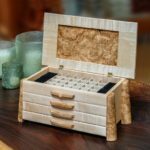 Don’s original Burled Jewelry Box was lovingly made for his granddaughter but when we saw it we wanted one too! 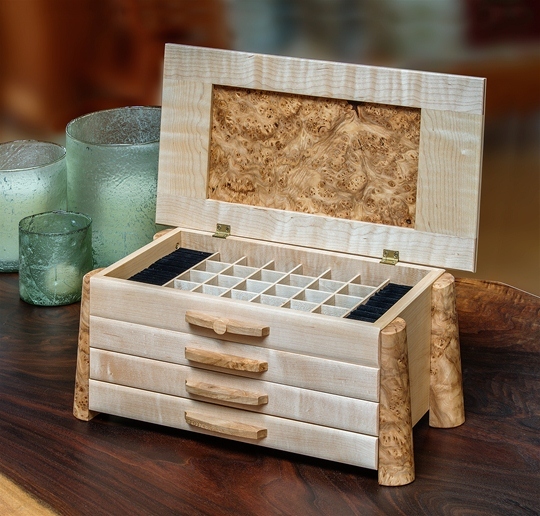 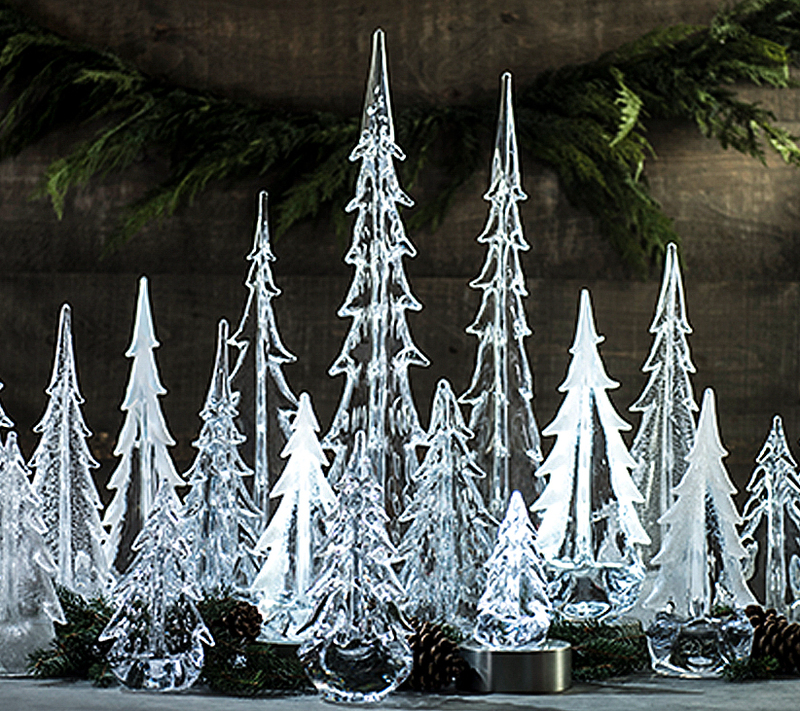 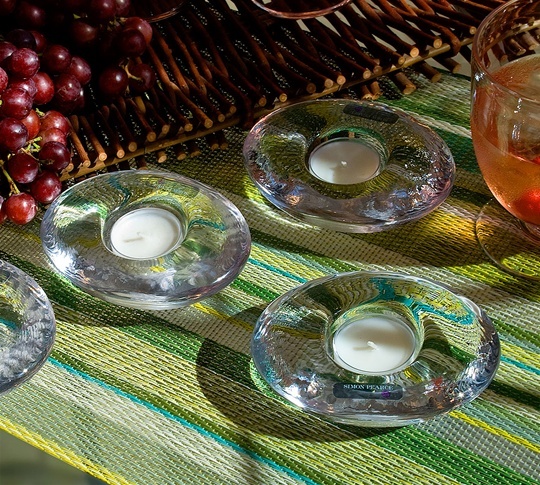 Like a small piece of furniture, this box will outshine even the most precious of diamonds. 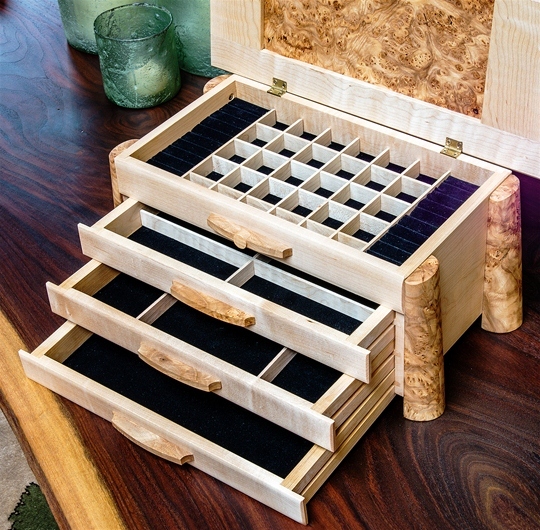 Plenty of storage drawers and compartments for every type of jewelry.